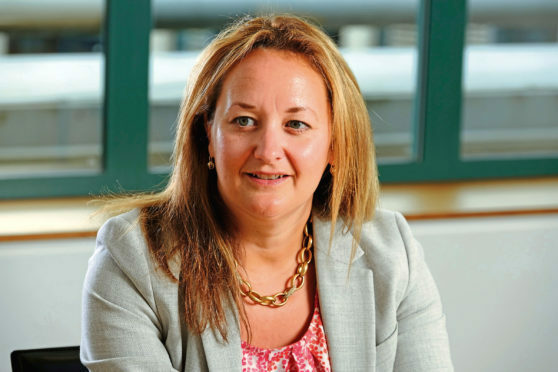 Fiona Buchanan, head of banking and finance, at Scottish law firm Shepherd Wedderburn. Scottish law firm Shepherd Wedderburn has almost doubled the number of deals completed in the last financial year, thanks to major north-east projects. The banking and finance team at the company has reported a strong year for deals activity, with a 12% rise in the number completed and a 41% increase in the overall value of transactions. The team, whose clients include banks, funds, financial institutions, local authorities, corporate borrowers and sponsors, completed 162 deals in the year to April 30, with a combined value of £132 billion. This is up from 144 deals with a combined value of £93.4bn the previous year. Notable deals completed included: acting as Scots Counsel for a syndicate of lenders on $700m loan facilities to North Sea oil and gas explorer and producer Ineos; acting for a bank club on a £680m debt refinancing to onshore wind energy provider Ventient Energy, covering 35 UK wind farms and acting for Nord LB on the £56m Inverurie Community Campus Hub Project, spanning design, build, finance and maintenance services for a new community campus, secondary school for 1,600 pupils and special school facility for 100 pupils.